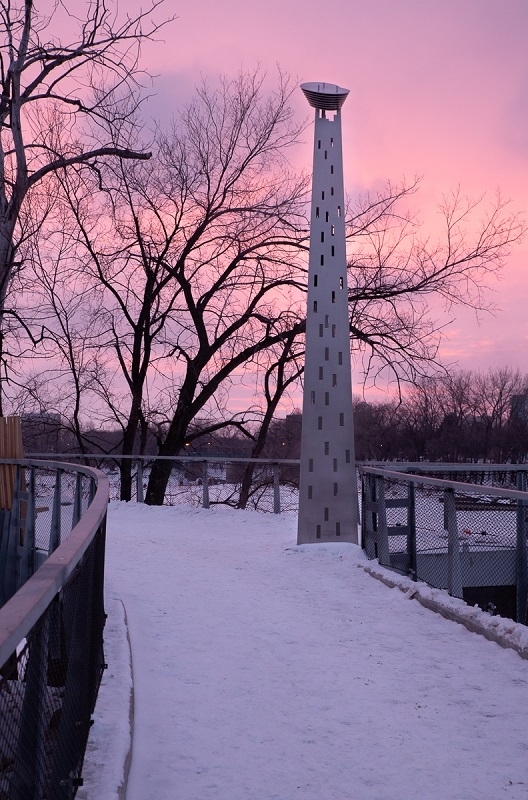 Marcel Gosselin’s PHARE OUEST (FAR WEST) is an homage to the colonial history of St. Boniface. 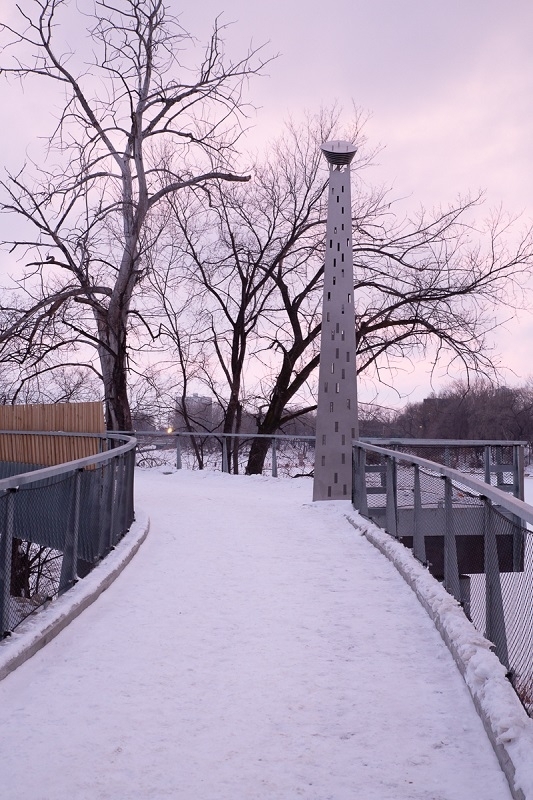 Placed on the new Belvédère Saint-Boniface, a promenade-style walkway suspended in the river forest canopy off the Taché Promenade between Provencher Boulevard and Despins Street, this lighthouse-reminiscent structure is underpinned by concepts of coming together, spirituality, refuge, and solace. 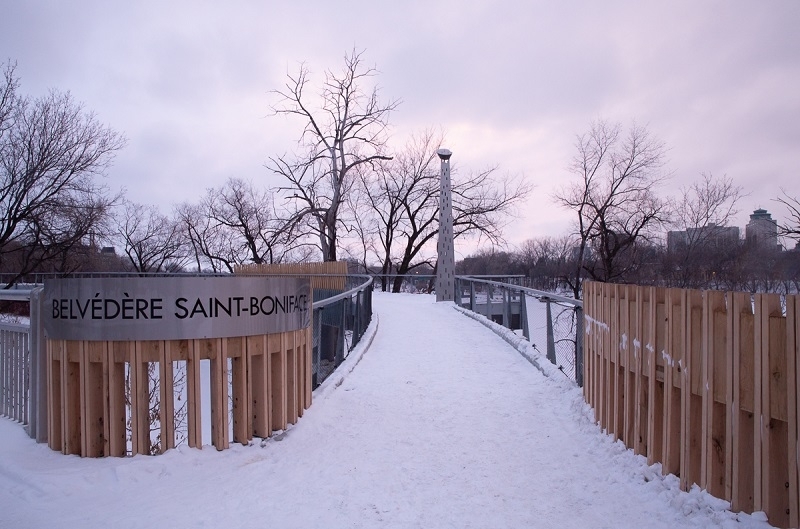 In 1844, Bishop Provencher of St. Boniface put out the call for those of a religious order who would be willing to travel to the region to educate the young people of his diocese. Sisters Valade, Lagrave, Coutlee and Lafrance of the order of the Grey Nuns of Montreal arrived via canoe after a fifty-eight day journey. 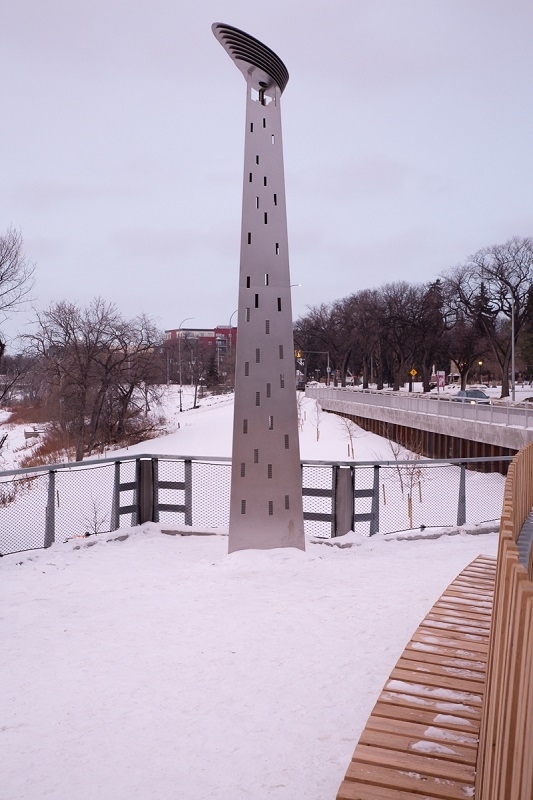 The light within Gosselin’s sculpture recalls how, coming upon the St. Boniface area at 1:00am, the Nuns were guided to the shore of the Red River by the Bishop and his lantern. 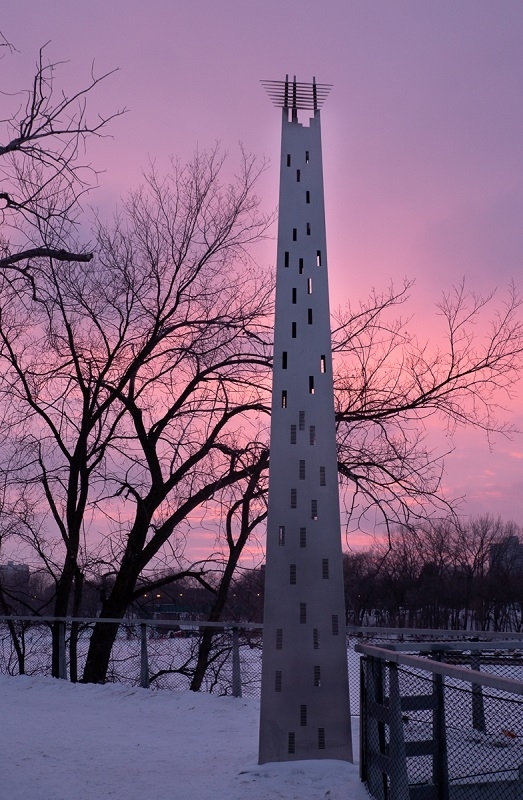 The floating plates forming the top of the sculpture represent the eight hands of these Nuns coming together and being instrumental in founding, preserving, and protecting the foundational institutions of Saint Boniface. 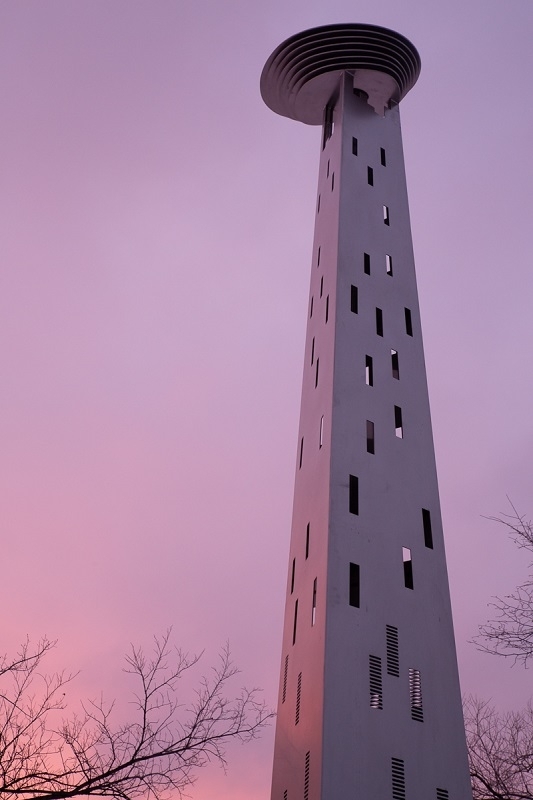 These institutions, represented by the triangular windowed obelisk, rise upward and taper from the base to a vanishing point in the sky. 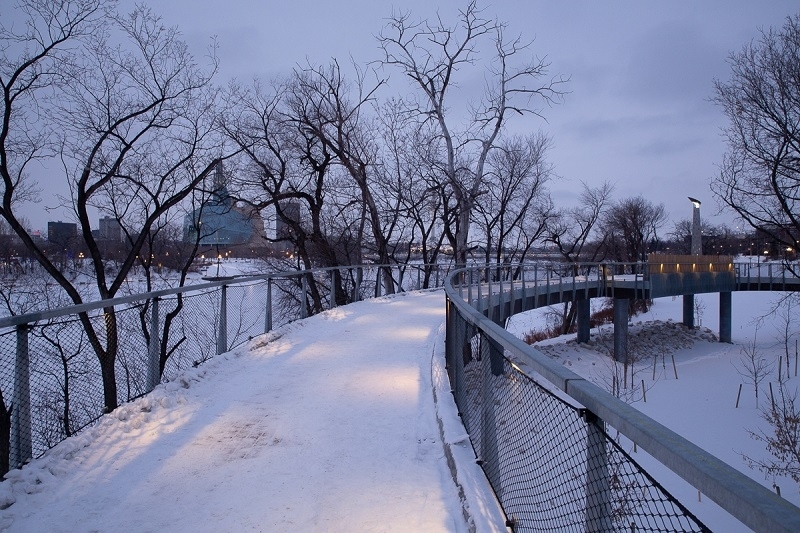 PHARE OUEST was commissioned in conjunction with the development of the Belvédère Saint-Boniface. 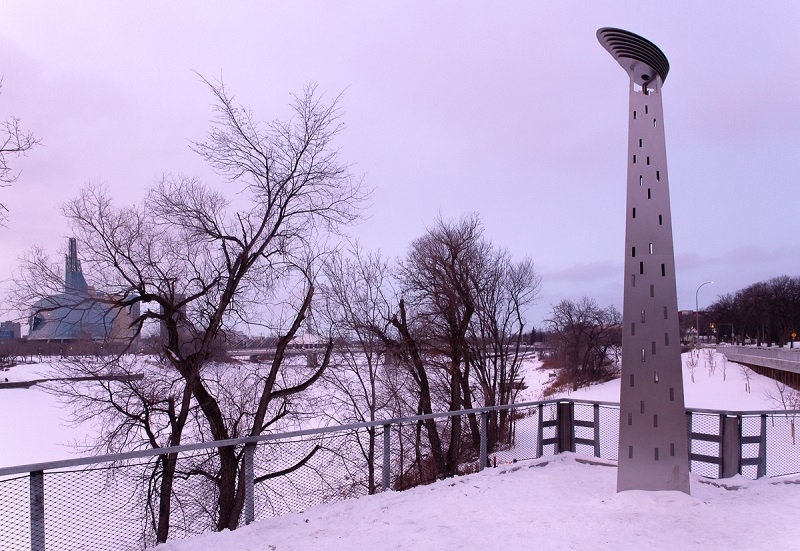 This public art project was managed by HTFC Planning & Design and manufactured by Stainless Concepts. 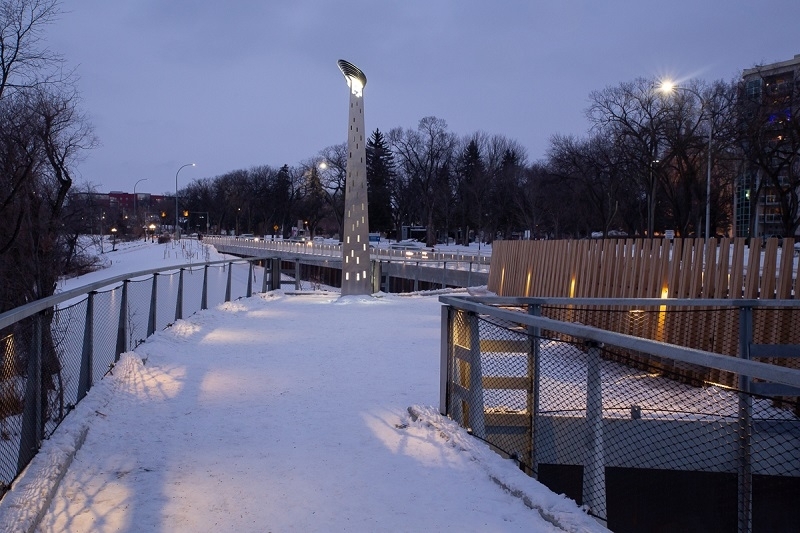 A celebration and launch for this project will take place in spring of 2019. 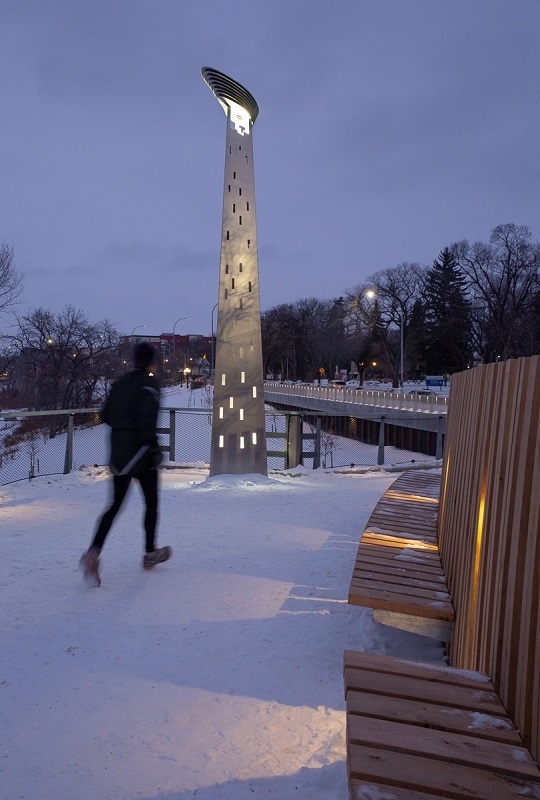 Marcel Gosselin is a graduate of the School of Fine Arts at the University of Manitoba, and the recipient of a number of Canada Council and Manitoba Arts Council grants. 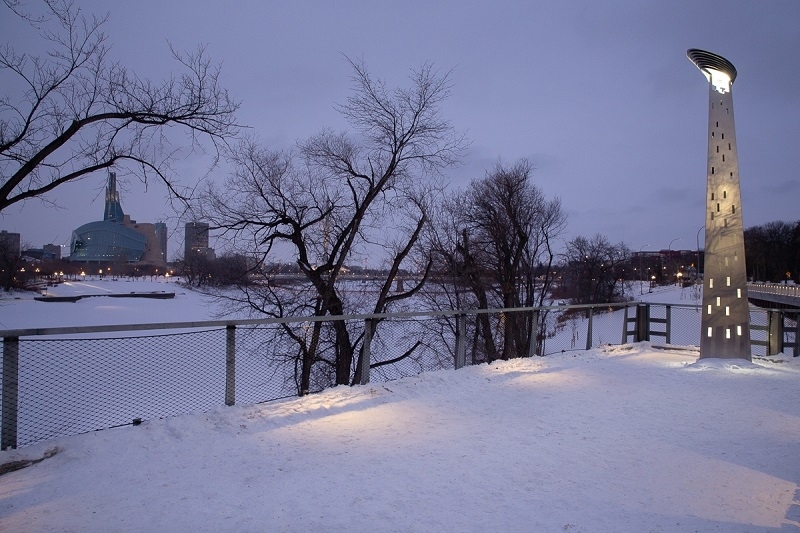 He has participated in numerous solo and group shows in Canada and internationally. 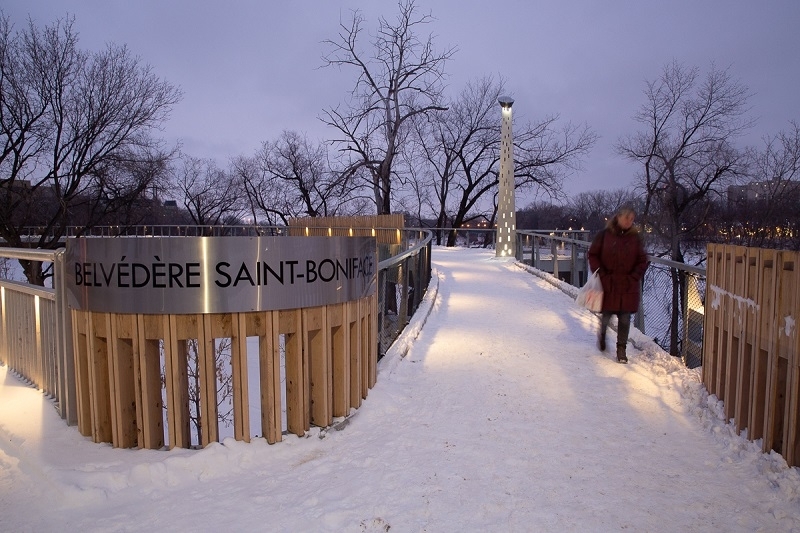 His work is featured in public and private collections. Marcel Gosselin has worked as a visual artist since 1967.